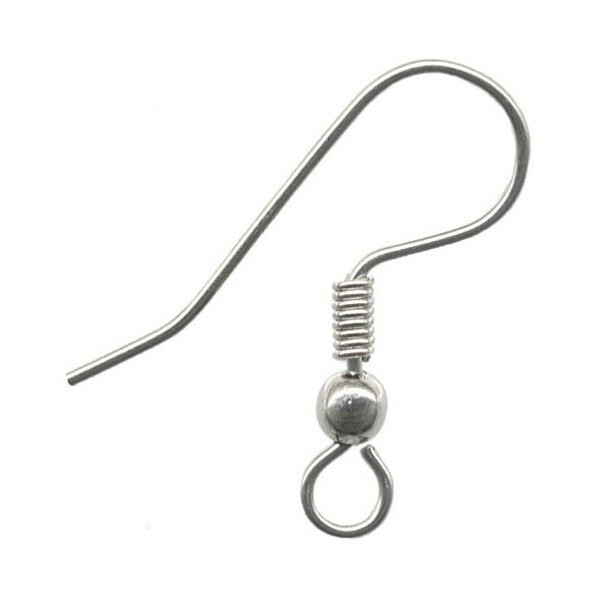 Sold per pair, so you get 2pcs for each 1 you order..The wire on these is surgical steel ear wires. It is raw so plating will not irritate ear. Sold by the pair so for each 1 you order you get 2pcs...The wire on these is surgical steel ear wires. It is raw so plating will not irritate ear. 20mm tall, 4mm loop, 3mm ball, 22ga wire..